Not content with adapting Akira to the big screen, Warner Bros. has announced that it's now turning Bleach into a live-action film. Warner Bros. really seems to have been bitten by the anime bug lately. The film company's still working on its oft-maligned adaptation of Akira, and now it's revealed that it's acquired the rights to take popular manga-turned anime Bleach and turn it into a live-action film. Bleach, if you're unfamiliar with it, is about a teenager named Ichigo who can see ghosts. 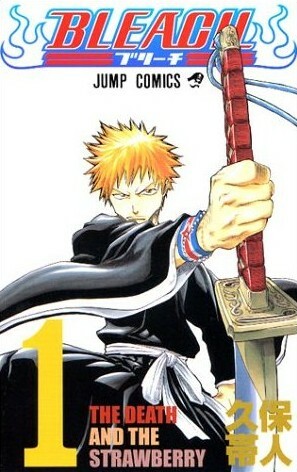 After a Hollow (an evil "lost soul") attacks Ichigo's family, he gains the power to hunt the spirits and works to protect the living and "[help] tortured souls find peace." Warner Bros. has acquired live-action feature rights to Tite Kubo's manga and anime property Bleach, which will be adapted by Wrath of the Titans scribe Dan Mazeau. Peter Segal (Get Smart) will produce with an eye toward possibly directing. Segal's Callahan Filmworks partner Michael Ewing will also produce along with Masi Oka and Viz Prods., a subsidiary of Viz Media, the English-language publisher of Bleach, Jason Hoffs will produce for Viz, while Branon Coluccio will exec produce. WB exec Jon Berg will oversee the project for the studio. Oka, who co-starred in Segal's Get Smart, brought the project to Callahan Filmworks. Call me crazy, but taking an IP like Bleach and giving it to the guy who wrote Clash of the Titans and directed Get Smart doesn't really seem like the best match. When you combine this with how Warner Bros. has handled Akira's adaptation (going from two movies to one, repeatedly cutting the budget, shutting down production, and forcing rewrites), Bleach fans are probably right to be worried about this project.